The board meets approximately four times per year. This model brings a balance of views to NTBOS and maintains the cooperative arrangement between the government and non-government school sectors in the Northern Territory. NTBOS can set up committees which will allow the board to inform itself on specific matters and seek the views of particular stakeholder groups. Mr Ralph Wiese worked in education for 40 years, beginning his career as a teacher at Darwin High School in 1964 then advancing to positions such as senior teacher, assistant principal and principal. He also worked in office based positions including superintendent and general manager before retiring in 2004. Although retired, Ralph maintains a keen interest in all things education and brings a wealth of skill and experience to the position. Ralph’s formal qualifications include a Bachelor of Science, Bachelor of Commerce and Diploma of Teaching (Secondary). Mr Bicknell has over 16 years’ experience with the NT Chamber of Commerce Northern Territory, with three of those years as the Chief Executive Officer. He has an excellent understanding of the needs of employers in the Northern Territory across a range of issues, including the need for skilled staff in the Northern Territory and the role that education and training play in preparing local people for employment. He is aware of the issues around numeracy and literacy for young people entering the workforce with minimal qualifications. Ms Rachel Boyce is currently the Principal of Good Shepherd Lutheran School in Darwin; she has over 20 years of experience as an educator working in a range of schools in both regional and metropolitan areas with students from the early years through to Year 12, most of these within the Northern Territory. She has experience in Indigenous and International education, and has held leadership positions within the schools she has worked in both Curriculum Coordination and Pastoral Care of students. Her formal qualifications include a Bachelor of Education, Masters of Education and a Graduate Diploma in Theology. Her passion in education is for students to experience challenging and contextual learning, supported by quality educational programs and with a strong emphasis on student well-being. Ms Donnelly is currently acting as Assistant Principal Darwin High School assuming responsibility for the Year 12 cohort completing their final year of schooling. This builds on the work she has done as a practising teacher (Northern Territory Certificate of Education and Training Coordinator) at Darwin High School since 2007 where she developed processes and procedures for complying with systemic requirements. Ms Donnelly has extensive experience in the delivery of educational programs and curriculum development. Ms Donnelly has worked in remote school settings. 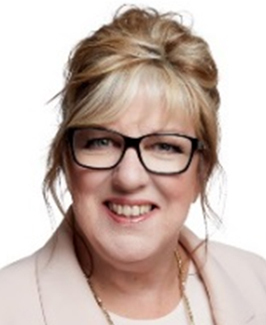 Mrs Gillanders is the Managing Director, Biznorth Pty Ltd. As Managing Director, she has many roles which include coaching, consulting, teaching, assessing, course development and design. Mrs Gillanders holds a Batchelor of Adult Education and Certificate IV Training and Assessment. Mrs Gillanders was appointed as Deputy Chair of the NT Training Commission, is a Justice of the Peace, a past winner of Adult Educator of the Year and a Telstra Business Woman of the Year. Mr Richardson is the Public Officer on the NTCOGSO Executive team and was a University lecturer in the Northern Territory from 1985-2005. He has a Diploma in IT from Charles Darwin University, is a member of the Australian Computer Society and with a passion for physics and science, professionally and actively promotes the uptake of appropriate emergent technologies in the education sector. Mr Richardson has sought to demonstrate how equitably distributed bandwidth technology and training (mainly VET sector) might serve to further the educational opportunities and aspirations for and of Indigenous students. Mr Christopher Pollard has over 35 years of experience in Catholic Education encompassing a variety of school based teaching and leadership roles as well as CEO based support and leadership positions. He currently holds the position of Deputy Director, Teaching and Learning at the Catholic Education Officer, Darwin. Mr Pollard has a Diploma of Teaching, Bachelor of Education (primary), Graduate Diploma in Computing and a Graduate Diploma in Legal Studies. Mrs Fudge is the parent of two children attending public primary and secondary schools and is a member of the governing bodies of both schools. Mrs Fudge was recently re-elected for a third year as President of the Northern Territory Council of Government School Organisations (NT COGSO). Prior to being President, Mrs Fudge was Treasurer and also a regional Vice Chair with NT COGSO. She has also been the Northern Territory Director (2017) of the Australian Council of State Schools Organisation. Mrs Fudge is a strong advocate for public education at both a Northern Territory and Federal level, lobbying for a truly needs based public education system. Ms Cheryl Salter is the Deputy Director of the Association of Independent Schools of the Northern Territory (AISNT). Ms Salter has more than 30 years of experience as an educator in Catholic and Independent Schools in the Northern Territory. She has held various leadership positions in non-government schools. In her current role, Ms Salter works closely with Northern Territory and Australian Government representatives and their agencies, representing and advocating for Independent Schools. She provides services and guidance to Independent Schools on professional issues, including school governance, school leadership, curriculum, teaching and learning, policy and legislative requirements. Ms Salter has represented and contributed to several key bodies at Territory and Federal level, on behalf of Independent Schools in the Northern Territory. Ms Pauline Schober is the current teaching schools coordinator managing the partnership agreement between Charles Darwin University School of Education and the Northern Territory Government Department of Education. Within this role Ms Schober is committed to supporting Schools, Educational Leaders and Pre-Service Teachers to ensure ongoing quality educators and education within the Northern Territory. Ms Schobers’ teaching experience includes working at all levels in education including early years, primary, secondary and senior secondary. Ms Schober has a Bachelor in Business and Masters of Education completed at Charles Darwin University with a specific focus on Indigenous education and community engagement in education.